Arie Malone knew something was wrong when she tried to stand. She felt numb, short of breath, and dizzy. Malone had suffered a stroke. Thanks to her husband’s quick response in calling 911, Malone was stabilized and flown by helicopter to Tampa General Hospital’s Comprehensive Stroke Center, one of the largest neuroscience intensive care units in the country. Not everyone is so lucky, especially women. Last year in the United States, an estimated 100,000 women under age 65 suffered a stroke, although that number doesn’t include strokes among elderly women like Malone. This is about twice the number suffered by men. The reason women outnumber men in the stoke category is complex, according to a study by the University of Texas Southwestern Medical Center. Women generally live longer than men, and so older women outnumber older men. 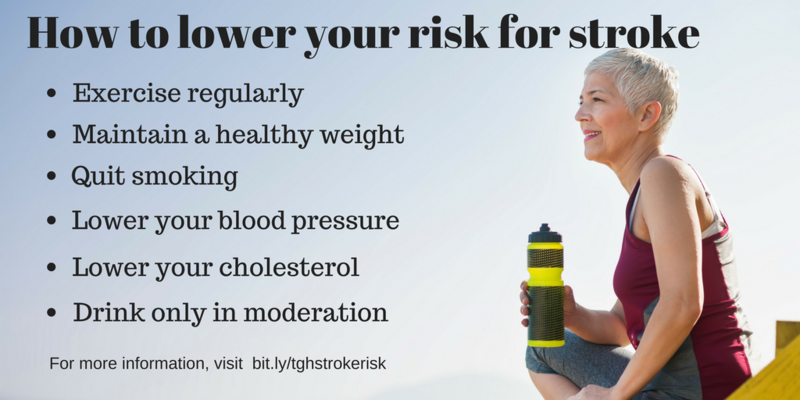 Because the risk for stroke increases with age, women take the bigger hit. Strokes are the leading cause of disability for women, and kill twice as many people as breast cancer. In fact, stroke ranks as the No. 4 cause of death, behind heart disease, cancer, and respiratory complications, according to the federal Centers for Disease Control and Prevention. The TGH Comprehensive Stroke Center is equipped to care for stroke victims 24 hours a day. Its national certification means it has been recognized for a high level of expertise in the advanced fields of neurology, neurosurgery, and neuroradiology. A hospital earning this certification has gone above and beyond the boundaries of ordinary stroke care, providing more advanced interventions for patients who suffer ischemic or hemorrhagic strokes. But rehab doesn’t mean much if a stroke victim isn’t treated quickly. From the first sign of symptoms, every minute that passes is critical. That hit home with Malone, who said she overhead the doctors while treating her that day in Tampa. When a clot or other obstruction cuts off blood flow to the brain, cells are deprived of oxygen and begin to die. A stroke can cause permanent loss of speech, movement and memory, according to the National Stroke Association. How do you know if you’re having one? Migraines: Women who suffer from migraines with aura (visual disturbances such as flashing dots or blind spots) can be up to 10 times more likely to suffer a stroke, depending on other risk factors. Birth control pills: Women who take even a low-estrogen birth control pill may be twice as likely to have a stroke than those who don’t and the risk may increase if other risk factors are present. History of preeclampsia/eclampsia: Women with a history of this complication in pregnancy have an increased risk of future hypertension and stroke one to 30 years after delivery. Hypertension: Women with chronic primary or secondary hypertension, or previous pregnancy-related hypertension have an increased stroke risk. Clotting disorders: Women who had had more than one miscarriage may be at higher risk for blood clots, which can increase their chance of a stroke. Other signs of a possible clotting disorder can include previous history of clots in the legs (deep vein thrombosis) and livedo reticularis, a mottled purplish discoloration of the skin.